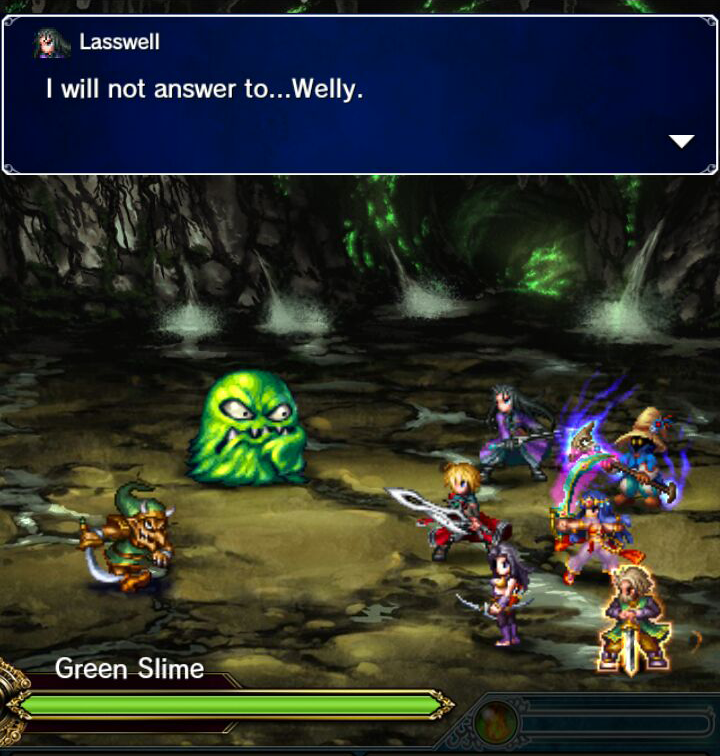 From February 2016, I worked for one year with Square Enix as the English localisation editor for Final Fantasy: Brave Exvius, one of those smartphone gacha RPGs. How about that! The game is continuing — the story is serialised, and there are regular events, etc. — but I’ve finished working on it as of the end of January 2017. My job was, basically, to take the initial English translation and make it prettier. The work ranged from straight proofreading to heavy rewriting, depending on the needs (and priority) of the material. Unfortunately, due to technical and organisational issues beyond my control, not all of the game text was even seen by me, let alone edited, so if you play the game, you’ll find that the text, in places, switches back and forth between professional quality and, uh, less-than-professional quality, with no apparent pattern — a fact that will always nag at me, but oh well. The parts I worked on, I improved, and I’m proud of that. With a tiny few exceptions, I didn’t have the foresight to take screenshots of Patrick’s Greatest Edits as I played through the game. Happily, however, some players were so pleased with the dialogue in the game that they did. So I’ve gathered some bits and pieces from social media, reassembled complete conversations where possible, and plopped them into a gallery for you here. I don’t know how representative it is, but anyway, it’s a taste. Naturally, I’ve only included text that I edited heavily enough that I feel I can reasonably take some credit (or blame) for it, but remember that all of it is the product of a kind of assembly-line collaboration, from the writers, to the translators, to me. I did my best to give the characters strong, recognisable voices, and to make the dramatic bits more memorable and affecting, but naturally it’s the bits where I enhanced the humour of a scene, or just straight-up added jokes to boring conversations, that are popular with the internet’s assorted screenshot-takers, AND RIGHTLY SO. Thank you, screenshot-takers! I think no-one even noticed this joke; this is one of the few that I screenshotted myself.